My name is Ayano Morishima, I was born in Japan and moved to the United States. I graduated from the high school, The Global Learning Collaborative (GLC) in the year of 2015. I had no connection in any of the art department other than ceramics though my course of study. I am now nineteen years old and going to New York City Technology to learn more about the arts; to be able to move one step closer to my dream. My passions lie in anime, because it’s what I grew up with. When I was little, I used to watch these different types of kids animation that intrigued me into thinking, “It will be awesome if I could create something like that!”. As I grew up, the variety of anime or should I say genre of anime expanded. The expansion made me watch more teen type of anime where the graphics and the action was much more. Because of this experience, I eventually started drawing anime as I practiced off other people’s work which it made me to create my own. I also like anime because it is almost a fantasy that will never come true in life. Sure, there are shows that turned to live actions. However it’s different because of anime, they could create something beyond. Many of my friends insist on me becoming an manga artist, however I refused. There are two reasons, first I cannot draw the same character and second living as a manga artist is a hard in financial terms. First problem can be solved, if I keep working on my drawing skills, however I cannot go through life which takes a lot of time selling manga and receiving money off of it. Instead, I want work as a character designer by hand and digitally. I’m usually aesthetic about my art work, because I get frustrated when final drawing looks horrible than the one I imaged in my head. Where some body parts are bigger or smaller than to others. I am more into modern style of anime drawings, because old characters are drawn in a simple structure. Such as long face and big shiny eyes. I like to draw more complex and detailed characters which most people are more interested. Usually I draw most of the time with a single pencil, but I hope I learn how to use various range of pencils. So that I could expand my drawing skills. Recently I am into digital drawing on a tablet. I find digital drawing interesting because there were techniques that I was able to do digitally and not by hand. The avatar that I chose was a character from the BGM that I recently found on YouTube. (If interested, the music is from this link: Here) I fell in love with it, because of the catchy lyrics and the awesome beat grabbed my heart instantly. After that started to go to its official website where I encountered with the avatar. Before knowing it, the character itself matches my personality and the features. As I looked closely, his sharp eyes and angry eyebrows shows a powerful and smart mentally. However his one hand is covered over his chest, this action makes the connection that I also have the weak side and doesn’t always acts strong. We both have a same length of hair, however the difference of the avatar is that I don’t have a white hair and my gender is a girl. My avatar can mislead people into thinking that I am mean or cold to people, because of the facial expression. Also, the characters that are written in the paper might mislead people that it is in Chinese characters rather than Japanese. Many people say that they are the same, however they are not. In history that these characters came from China. However, when it came across to Japan those characters changed a little to a simple character which people could understand more. In addition where the characters looks more girl like than the guy. In addition, people may say that I like to draw chibi’s meaning characters that has big head and little bodies. 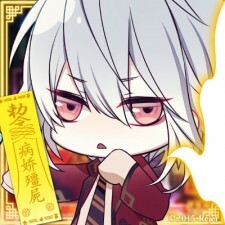 I picked the avatar, because it is adorable and fits my personality. However when I draw, I prefer to draw more of a regular characters. My profile conveys that I am a hard worker, and an amazing person who has a passion for anime. My imagination can go beyond the world, and always have a creative story that I can just make a book about it. Hoping that my creative imagination will become real in animation and my creativity would be acknowledge. This profile matters to me because this is who I am and always will be. After 10 or 20 years, I would still be interested in anime and have a creative mindset. If I changed, it will most likely be that I’ve become a boring person who only thinks about reality. Its good to have a time to be in your own world. Overall, the “Urban Artifacts” project was a very creative and interesting experience overall. It was certainly different than anything i’ve ever done before, and it was a productive learning process as well. However, If i could’ve done something different, I would’ve spent more time on the drafting and sketching, as I could’ve probably came up with a more creative and interesting final product. I do feel that my ideas were clearly expressed in my product, but not in the best way possible. I also would’ve liked to experiment more with the objects collected, as the ones I chose finally were a little more challenging to work with, in terms of expressing emotion through the final piece. However, I can still say I now have a full understanding of the terms we learned through the process. I know the difference between ambiguous and stable, what they mean and represent, and how things like economy and unity can alter and reinforce the ideas and meanings behind pieces that use these kinds of elements. 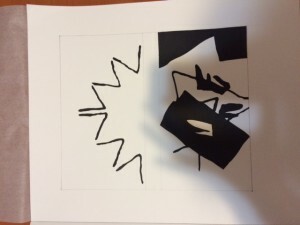 I took into thought the feedback i got from my peers, and I believe I could use more practice in using these elements in my work, as I need to reinforce what my work is trying to express, and what ideas I integrate into them. Below is my final work. My name is Ashley Fernandez, I’m 18 years old and live in Queens. I graduated from High School of Applied Communication which is located in Long Island City. I am now a freshman in City Tech taking Communication Design as a major. I’ve always had an interest in art especially during my school years. I’ve always loved drawing and I would be doing it all the time whether it was in my notebook or on the paint program on the computer. During my years, I really didn’t know what I wanted to major in college or what I wanted to do in life. At that time, I wasn’t really passionate to do a certain thing. But, during my junior year I had to take a graphic design class. I didn’t know what the class was or if I would actually have an interest in it. As I got to learn more about it and go to do some projects, I actually enjoyed it. That’s where my interest in Graphic Design started from. I am passionate about creating and drawing. If I’m creating something, I like to put my own style into that work. When I don’t really have anything to do, I like to draw most of the time. I’m more of a visual drawer. I like to draw the certain object if it’s in front of me. I’m not really sure what my design aesthetic is, but I’m figuring that out slowly as I’m learning more in my major. In five to ten years, I hope to see myself still having an interest in Graphic Design or having a job creating logos or album covers. I describe myself as quiet, shy, and an introvert. I am quiet most of the time and like to have my own little space for myself. I’m the shy type of person who’s not really comfortable to approach or talk to someone first. But once I know the person more, I am comfortable going up to them and talking to them first. I’m not sure what makes me so shy. I think it’s just the way I’ve always been since I was young. I also love to listen to music and it’s what I do most of my time. Some genres that I like to listen to is alternative, pop, Kpop, and sometimes hip-hop/rap. 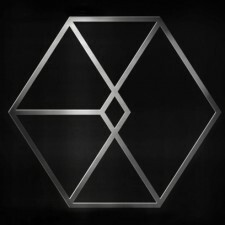 My avatar is the album cover and the new logo of one of my favorite band/group; EXO. I chose this avatar because I like the band but I also thought that their latest logo and album cover was creative and simple with color. When you first look at it, it looks confusing. At first you might see a hexagon but then you might also see a cube. But if you look really carefully, you can see the group’s name. I also liked that the album cover was simple with the colors. Using black as the background, it made the logo really stand out. Like the logo, I want to design something that is simple and looks confusing at first. But when you look at it more, you will see the obvious thing. But I also chose this logo because this band also made me like a new genre of music that I use to really dislike. I didn’t like it because I didn’t understand it and I also did not know why people liked that kind of genre. But as I listened more, I actually started to enjoy it. It made me realize that just because you don’t understand the language, that doesn’t mean you can’t enjoy it. My avatar can be misleading to other people. When they look at it, they might be confused on what this image might exactly be. They might only see a hexagon or cube. They might not be able to see the band’s name. 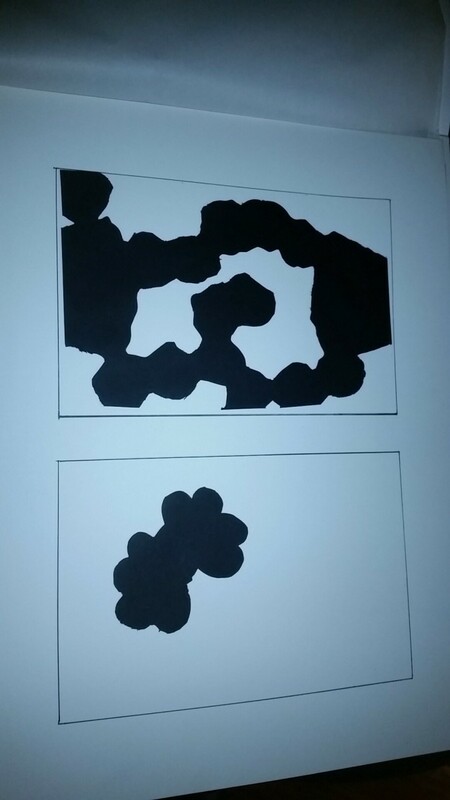 This might mislead people to think that I’m confusing, hard to figure out, or just like shapes. My profile will convey who I am and how I present myself in the work. It will also convey that I am simple and hardworking. It matters because I don’t really express who I am in person. But here, people would be able to see that more. Sometimes I wonder to myself, what are people’s usual first impressions about me upon meeting me? What do people assume and infer about me as an individual at a glance? I am a Freshmen here at City Tech. I am 18 years old and I am of Ecuadorian and Salvadorian descent. I live in the Bronx (6 line) and I’ve had a passion for visual arts for as long as I can remember. Ever since I could even speak, I used to always tell my parents how much I wanted to be an “art-teeest” as I used to say it. Growing up I became more and more fascinated in the way art was used to decorate the world around me, and how important it was to so many people in being able to express ideas and imagination. I began to draw and paint every single day. I used to carry my mini sketchbook with me everywhere I went. In it I would have such childish but imaginative and crazy drawings, which till this day, I still possess that free style in my work. I used to beg my parents to take me to the MOMA almost every weekend, after my first time visiting it when i was in first grade. I continued to grow more and more inspired, although when I reached high school, I had dropped my passion for it due to an unexpected tragedy in my family, which was the loss of my grandmother. My grandmother was a huge inspiration to me when it came to following my passion. She used to always push me and give me lectures about me getting an education and pursuing a true career. Losing her was one of the hardest things I’ve ever endured. However, I decided to continue to pursue what I have always known and loved, and decided to make it my major in college and re-ignite that passion I’ve always had, with the mentality that I will make my grandmother above and the rest of my family proud. I aspire to be an animator or a concept artist in the future, and pursue making a living out of what I love to do. I can imagine myself in the future creating beautiful and complex works of concept art, that can potentially be brought to life through a video game or a feature film. THAT is what I want to do, and be successful at. A few years from now, when technology advances even more than it already has, I wish to see my name in the credits of the newest blockbuster film or the hottest new video game release. Some words that describe me as a person are Timid, Stubborn, and Adventurous. Though I can be hard headed over small things sometimes, I’m pretty likeable and easy to get along with. I’m always the type to be very timid to speak when I’m around new people, but once you get to know me, I could talk about just about anything for days. I also love to discover and travel, and explore new things. Some things I’m into are baseball, DC comic heroes, drawing/creating/writing, anime, science fiction, horror and fantasy books, and traveling. I am more specifically a huge fan of the hunger games series,the Dragonball series, and Halo. I’m also really into Music and the performing arts (more specifically Broadway musicals), as I went to a performing arts high school, where I did many amazing things like be a part of huge concerts and shows, and met many famous music artists, performers, and actors. There are many reasons and aspects as to why I chose this Avatar for my profile. 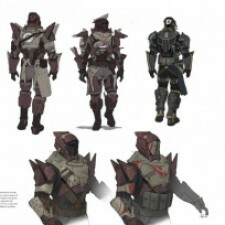 My avatar consists of a piece of concept art created by Bungie Studios, for a video game called Destiny. Its almost like a design or blueprint, so to speak. A concept artist created this character and designed him, before creating it digitally through the game. Looking at the avatar, you can see the detail and information the artist input into these “blueprints”, and the very image he had in his head for this particular character. Not only am I a vivid player of the Destiny video game, but the art and character design in the game are simply fascinating to me. The aesthetic care and imagination that went into creating this “world” is mind blowing. Every time I play i can’t help but think of how amazing it would be to one day create such vivid and fantastical worlds and characters, and have them come to life in such a way. I aspire to be the one to create such concept art, after being inspired for so many years through movies, TV shows and other entertainment media. Though my Avatar to me is a symbol of the passion I wish to pursue, there can be all types of interpretations as to why I chose it. Knowing a lot of people who are fans of the Destiny video game, anyone of those or other individuals could simply assume I just love the game. There could also be inferences that i have a pinpointed passion for just video games, which is not the case at all. Yes, I do love the game, but my main perspective is the art and passion that went into creating every single aspect of that game. Especially the concept art, which like I mentioned before, is something I’m pursuing to do. Through my entire profile, I wish to convey and make clear what I pursue, and how I plan to get there. I aspire to be the one to create such beautiful and fantastical worlds and characters, and make them come to life. I will continue to pursue this goal through education in the graphic arts. 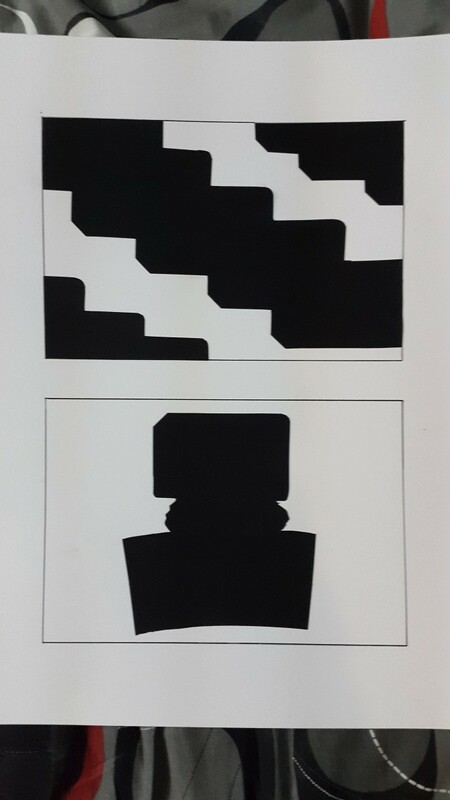 I chose this stable and ambiguous design, because it intrigued my attention that these two design have a connection. Both designs pulls in each others energy of ground and figure composition. It balances out together since the top design have more ground and the bottom has more figures. It took me about 3 hours of completing, such as tracing, measuring, cutting, and pasting. I was wondering if I am suppose to outline the measuring. My final project consisted of 2 hours work time total. One hour for the ambiguous image and 1 hour for the stable one. Compared to phase 2, this phase of the project required much more detail and focus, in order to achieve a clean, final product. However, both take considerable time, and the illustrations especially, took more work time to complete. I tried to express as much a clear distinction between ambiguity and stable as possible, as seen in the final product. I also made a slight change to the ambiguous image, where i added some extra detail to make the negative and positive space more balanced. My name is Brandy I am a freshman here at Citytech. I graduated from Celia Cruz High School of Music, and while attending there I played percussion. I’m a pretty shy person at first, but eventually I open up the more familiar I get with the person. 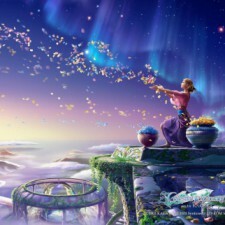 When I do open up I am a funny, bubbly, weird individual who is pretty open minded to new ideas. My passions lie in learning, creating, animation and imagination. I love learning not only new artistic techniques, but more about the world in general. There’s still so much I don’t know, and finding the answers to those unraveling questions is really satisfying. With creating, being able to bring out imagination to real life whether it’s from mine or someone else’s vision is fascinating, because a lot of interesting ideas dwells within people’s mind. I enjoy animation because this form of expression can be really effective when it comes to creating a great story. In animation I find there’s more life being put into the characters development, plotline and conflicts. Animation really engages me to want to know what will happen next and to make me feel what my favorite characters are feeling. With imagination I love wandering into my own world, taking a break from reality at times. Being able to come up with ideas that seem pretty unreal and having a feel for that fantasy is something that I can’t get bored from. I am still discovering my design aesthetic but I would say I really like to put my focus on color. Color brings about a reaction from people and depending on the color or shade I use, I can give out the most accurate atmosphere for my piece. To me the color blue is bold yet gentle, and by that statement I mean that it has balance in the way it shows itself which is why many people including myself enjoy it’s presence. In five to ten years I see myself enjoying whatever career I’m in, still exploring the world and having new experiences. I would say that my avatar portrays my carefree,adventurous personality. The way the petals carry off into the wind conveys being free to explore the world which is something I always look forward to in life.The petals also represent I’m a go with the flow type of person. The various sceneries depict the beauty I see in the vast world we live in. The different landscapes shows the adventures I wish to have in the future. This image really sets the way I like to imagine by the way the colors come together and make this image feel like a dream. Some misinterpretations people could get from my avatar is that it is spiritual. This reason can be due to the fact it the woman seen in the picture looks like she is praying or practicing a ritual of some sort. People could interpret that she could be a farmer because of her possession of the petals, and pots that seem to resemble having wheat inside. Another interpretation someone might have when looking at my avatar is that the woman is killing the flowers by pulling them of their stems. My profile conveys that I’m a laid back, adventurous person that is just fascinated by what the world has to offer. Also that I have a very whimsical vision when it comes to imagination. This matters to me because imagination is what makes me optimistic for the future, which is an necessity. It is necessity because I can see myself working in a field where it requires thinking outside the box. It can show that I am approachable and have various interests. And finally, my profile can represent on what I can offer the world. I chose this stable one because it was simple and it actually shows the meaning of being stable. I chose this ambiguous one because it was my favorite one out of all of them. it was pretty hard trying to cut these pictures out but i tried, its not the best but its something and i worked hard took me at least 2 and half to 3 hours trying to do this.it took a lot of cutting and erasing to get what i got here. My name is Tyler Santiago I am 18 years old, I am Puerto Rican but I was born and raised in New York. Sadly I do not know how to speak Spanish wish I did. I’m a very active and athletic person, my favorite sport is basketball but I also play a little bit of football and baseball for fun and I also play softball with my father on his team on Sundays. I am pretty tall my height is 6 feet 4 inches; my friends say I’m a funny guy and fun to be around. Putting a smile on someone’s face or making a person laugh or even making them feel better makes me happy. I was born on April 13th, 1997, I have one older brother by 6 years he’s 24 years old. My family is pretty big. I’m into video games, hanging out with friends, and going to the movies. I like to listen to music, most types of music but mostly old school rap and R&B. I want to get into the advertisement business and I am looking forward for what I am going to learn and take in for these classes and hope it all pays off in the future. 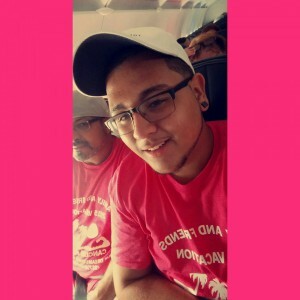 As you can see my picture for my profile is pink, first of all pink is not my favorite color if that’s what you’re thinking from my profile picture. The reason why my picture is all pink is because I went on vacation to Cancun this summer and I went with about 26 people friends and family and since my mother is a home based travel agent she makes these shirts which happened to be pink this year that has all her business information on it and I liked how the picture came out so I edited it to have pink borders to match the shirt and that’s why my the picture is so pink. But I love to travel its like my top favorite thing to do besides playing basketball. I’ve been to so many places like Cancun Mexico, Florida, Puerto Rico, Dominican Republic, Jamaica, and more and even more to come, the top 3 places I would love to visit is Australia, Japan, and England, I don’t really know why I want to go to those places but I just feel those would be some nice vacation spots and nice memories to be made. Another thing about me is that I love to smile and laugh if I’m not doing one of those things you already know there is something wrong with me. My plan for my future if everything works out in college and I keep up and succeed and graduate is to become an advertising designer for a big company like Sony, Microsoft, or Samsung. It would be even better if I can get a job for one of my favorite gaming companies like Naughty Dog, or Ubisoft. The reason why I want to join these companies in the future are because I love the content and products these companies create, I use most of their products that they create. I really hope this all works out for me though because it seems like a fun field to be in but a lot of work that I’m willing to do though. If this doesn’t work out I’m going to have to get a job with my brother doing construction and I’m really not trying to do that, it’s a good job and all but since my dad did it and my brothers doing it I want to try something different and I’m trying to be my own person and make a living for myself. I really don’t want too rely on anybody I hate asking people for favors. I also want to get into editing films, videos, and photos because that seems like a fun thing and useful thing to know for my future. 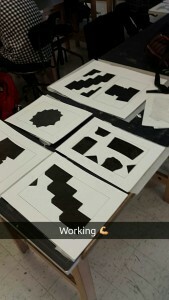 My profile will convey who I am, what I like to do, my interest, and contact information if any of my classmates has a question about the what was taught in class or about the homework and ill give them my best understanding of it and ill try my best to help with the homework if I understand it myself. On an academic standpoint it’s going to have all my work that was assigned to me and that is due for this class ENG1101 or COMD1100. I would also like my profile to convey my imagination the stuff that goes through my head when I get to thinking about something. That is basically it for who I am and what I want in life. Ayano Morishima was born in Japan and moved to the United States when she was just a 10 years old. Knowing English from her Saturday school in Japan, that opportunity made useful in her life when she moved to the U.S. Since English is her second language, she had to take ESL. It took her about 5 years of special class to pass, because she needed English language for her future. She graduated from the high school, The Global Learning Collaborative (GLC) in the year of 2015. She had no connection in any of the art department other than the ceramics during her high school year. She is now 19 years old and going to college to learn more about art and to be able to move one step closer in life towards her dream. My passions lie in anime, because it’s what I grew up with. When I was little, my daily Sunday morning was anime day. I remember that the anime was for kids, like Sailor Moon, Ojamajo, Doraemon, Pokemon etc. As I grew up, the variety of anime or should I say genre of anime expanded. The expansion made me watch more teen type of anime such as Black Butler, Fairy Tail, Gintama, Attack on Titan etc. Because of this, it came into my mind that what if I can be able to draw like that and create my own anime which eventually be on T.V.? I eventually started drawing anime as I copied off others and was be able to work from there to make my own. I also like anime because it is almost a fantasy that will never come true in life. Sure, there are shows that turned to live actions. However it’s different because of anime, they could create something beyond. Many of my friends insist on me becoming an manga artist, however I declined. There are two reasons, first I cannot draw the same character and second living as a manga artist is a hard in financial terms. First problem can be solved, if I keep working on my drawing skills, however I cannot go through life which takes a lot of time selling manga and receiving money off of it. Instead, I want work as a character designer by hand and digitally. I’m usually aesthetic about my art work, because I get frustrated when final drawing looks horrible than the one I imaged in my head.Also, when head is too big for the body, etc. I am more into modern style of anime drawings, because old characters are drawn in a simple structure. Such as long face and big shiny eyes. I like to draw more complex and detailed characters which most people are more interested. My avatar can mislead people into thinking that I am mean or cold to people, because of the facial expression. Also, the characters that are written in the paper might mislead people that it is in Chinese characters rather than Japanese. Many people say that they are the same, however they are not. In history that these characters came from China. However, when it came across to Japan those characters changed a little to a simple character which people could understand more. In addition where the characters looks more girl like than the guy.